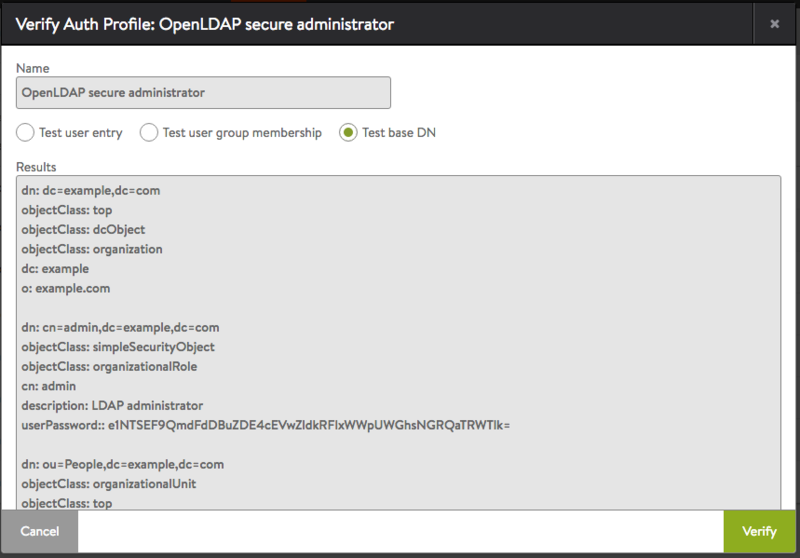 Avi Vantage provides an option for testing authentication profiles configured on the Avi Controller. 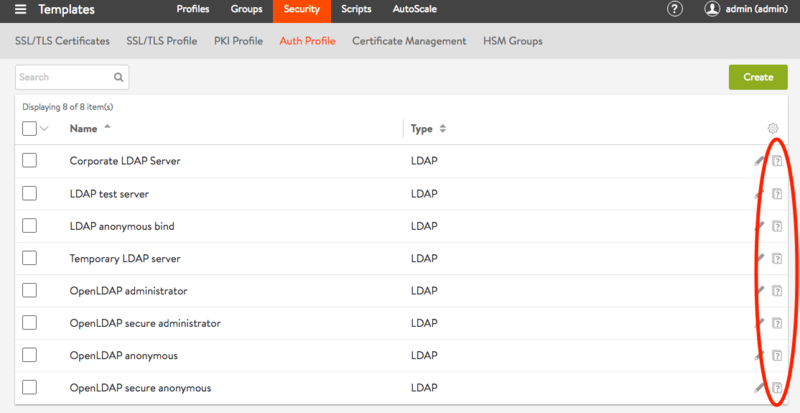 After an authentication profile is created, it is added to the list on the Templates > Security > Auth Profile page. Click the verify icon next to a profile name to test that profile. A popup appears, prompting for information needed to perform the test. The popup for testing an LDAP authentication profile requires some information to be entered. 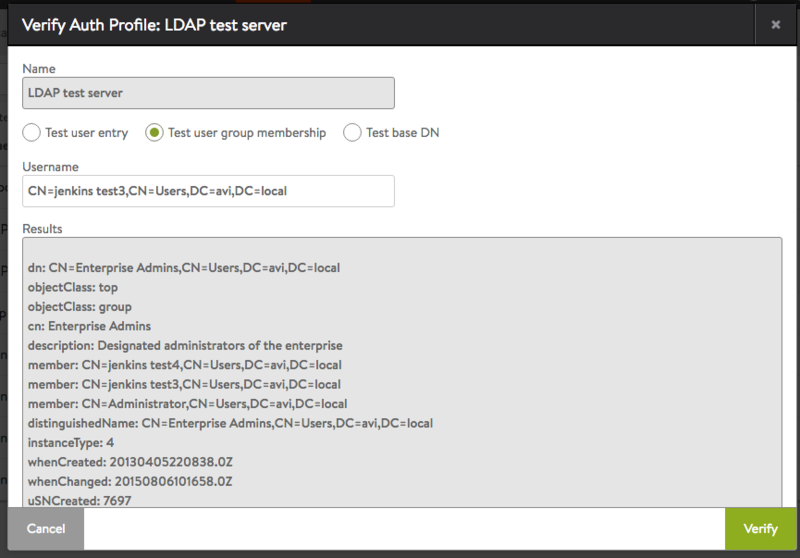 The information is used in the request Vantage sends to the LDAP server to test the profile. 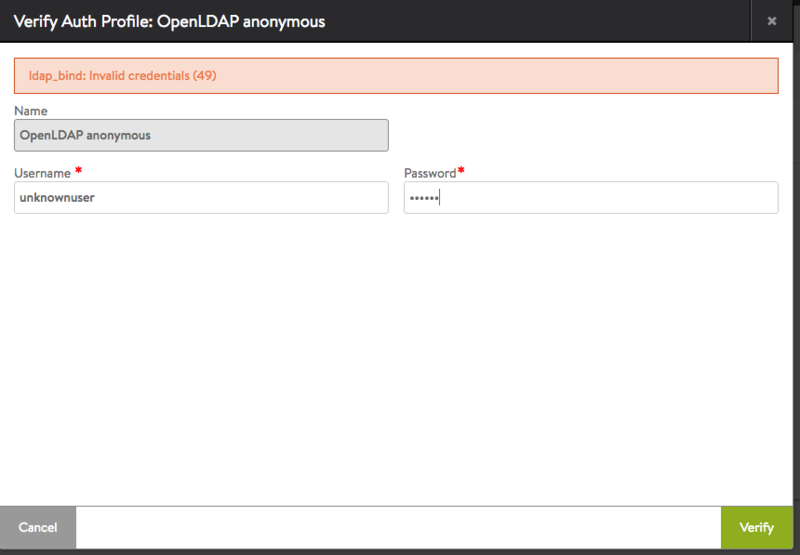 If the LDAP authentication profile is configured to use anonymous binding for authentication requests, the popup for testing the profile prompts for the LDAP user’s username and password. 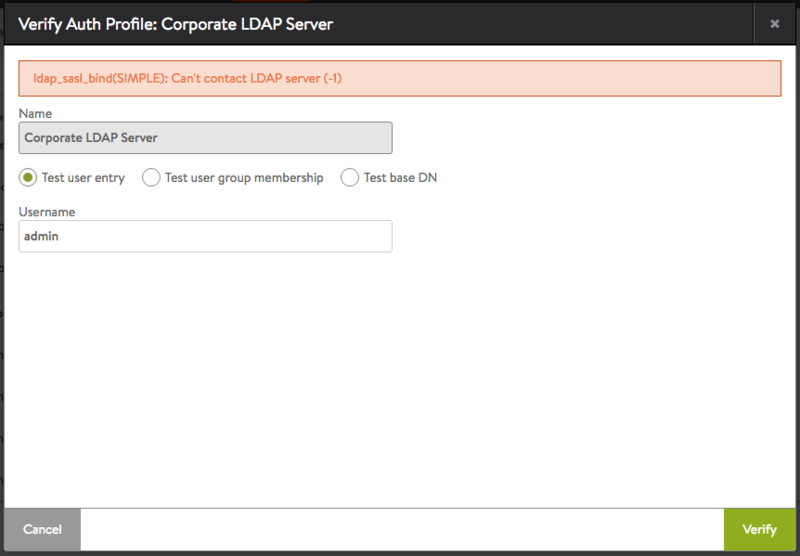 Testing whether a user can bind successfully verifies that the LDAP authentication profile is configured correctly to authenticate users with the same user DN pattern. 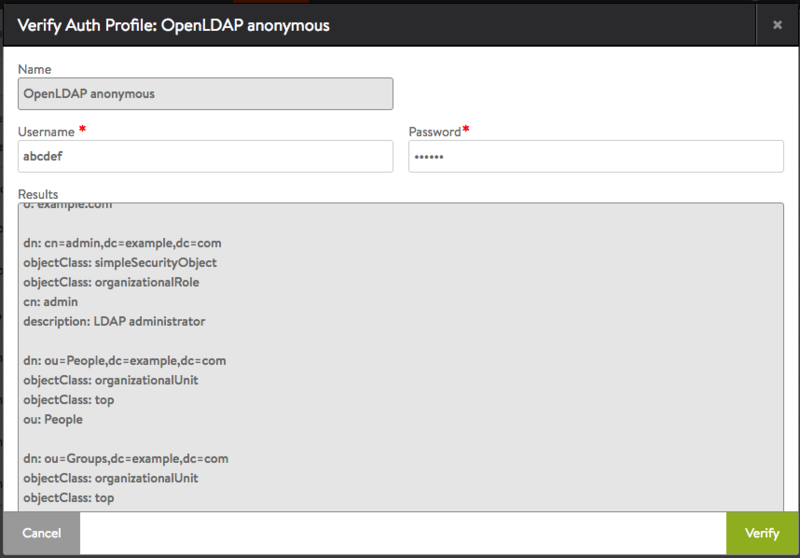 If the LDAP authentication profile is configured to use administrator binding for authentication requests, one of the following types of information can be specified on the verification popup for the profile. Test user group membership: Lists all group memberships for the specified user. The group search settings configured in the authentication profile are used. If the Username field is left empty, all groups are returned. Test base DN: Returns all objects under the base DN. 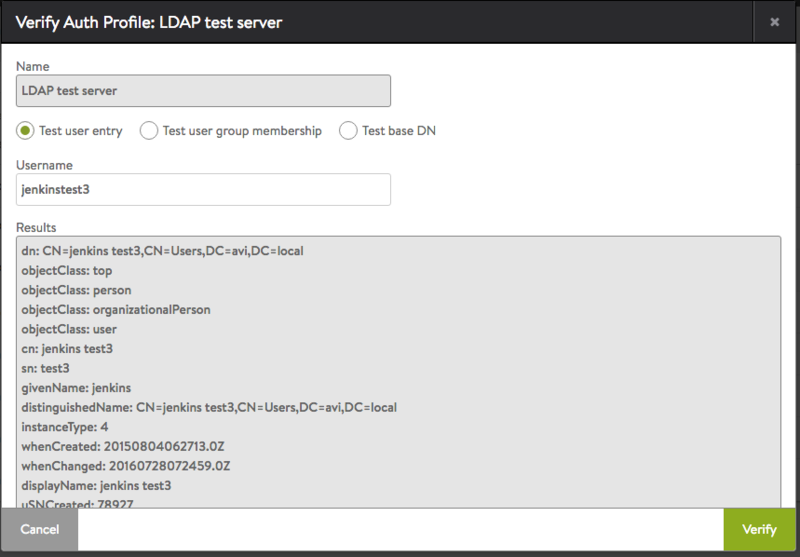 This option is useful for testing administrator permissions and for reading the DN tree of the LDAP server. Error Scenarios: The test page can identify some common error scenarios.